On 19th January 2018 around the world, legendary British rock icons Def Leppard debuted their full recording catalogue worldwide via https://DefLeppard.lnk.to/Digital. One of the last multi-platinum selling acts to be made available on streaming and download platforms, music fans from all corners of the globe have been streaming and downloading tracks and albums from Def Leppard. The response has been extraordinary with a host of Def Leppard album and singles re-entering the charts across the world. “Hysteria” reached No 3 in the USA iTunes chart and No 5 in the UK iTunes chart. Def Leppard – Joe Elliott (vocals), Phil Collen (guitar), Rick “Sav” Savage (bass), Vivian Campbell (guitar) and Rick Allen (drums) – continue to be one of the most important forces in rock music. Over the course of their career the band has produced a series of classic ground-breaking albums that have sold over 100 million copies worldwide and set the bar for generations of music fans and artists alike. The group’s spectacular live shows and arsenal of hits have become synonymous with their name, leading Def Leppard to be heralded as an institution in both the music and touring industry. The band’s most recent self-titled studio album debuted at #1 on Billboard’s Top Rock Albums and Top Independent Albums charts. The album also took the #5 spot on Billboard’s Top Current Albums and #10 spot on the Top 200, as well as claiming 15 top 10 debuts around the world. 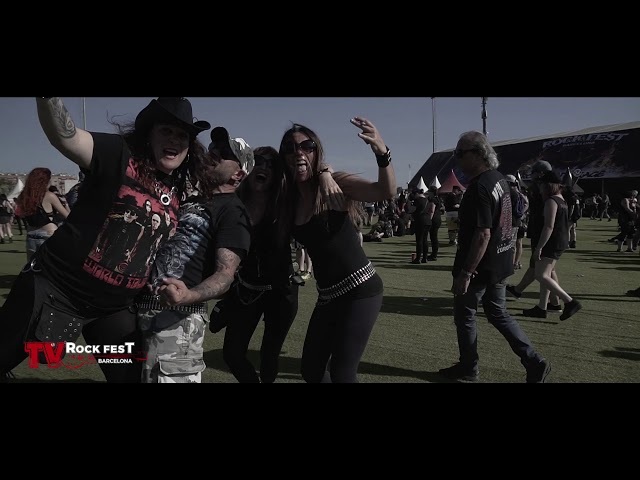 Don’t miss on their unique and exclusive concert in Spain at Rock Fest Barcelona 2019.